During the Dutch Design Week, from October 22-30 in Eindhoven, I will present several new and recent projects. If you are around, come by and have a look! In case you like to know more about my work, send me an email at david@davidderksen.nl. I am looking forward to meet you somewhere in Eindhoven! Using larch wood veneer from the Baars & Bloemhoff’s Shinnoki collection, we have created an ultra light set of space dividers. Not only do they serve to parse out a room, they can also hold various design elements, such as LED lamps or even acoustic foam. 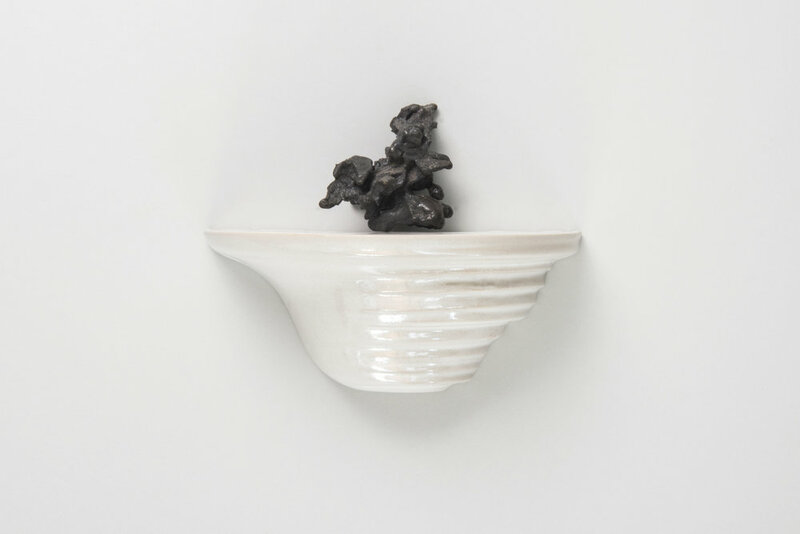 Commissioned by Cor Unum Ceramics, a project has been developed in the theme of Jheronimus Bosch, a painter from the 15th century. Walking in the footsteps of Jheronimus, fantastic pieces of nature such as mushrooms and bracket fungi were collected. The cross sections of these fungi have been extruded to become functional shapes as wall shelves. Installed on the wall, they give a hint of the fantastic nature from where Jheronimus Bosch drew his inspiration. The new Cubic Transience Mirrors reveal the beauty of oxidized silver layers with colour tones that range from silver, gold to brown and purple to blue. These patterns of oxidized surfaces create an optic illusion of a three dimensional design. The Cubic Transience Mirrors are the new models in Transience Mirrors series released in July 2016.